“EVision now houses all our core financial data, and as it is easy to navigate and find the information we need, it has helped us meet our customers’ requirements for detailed reporting and in-depth analysis of profits. We are also able to drill down into the data and review contracts and segment by types of clients”. Gathering the right information and creating reports for your construction projects from disparate systems can be very time consuming, very challenging and most importantly not very accurate. Reports are often quickly out of date making it difficult to gain a true picture of progress and not allowing well informed decisions to be made. 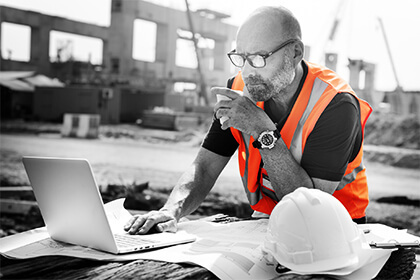 Modern construction management software such as EVision makes it easier to compile information from multiple departments and create reports using real-time information. Discover how you can create dashboards to ensure all departments have access to the exact information they need at their fingertips helping enhance productivity and providing a real-time view of projects. "EVision has positively impacted the accuracy, efficiency and quality of information we have available throughout the business by streamlining a lot of our processes and allowing us to process double the number of invoices in the same amount of time." Introducing new solutions to manage all business processes can be a daunting task to undertake. They raise concerns over fear of change, unfamiliarity of new systems, the skills needed to use them as well as concerns over future development of solutions. Eque2’s EVision contract management software is built with Microsoft Dynamics 365 Business Central On-Premise (Formerly Dynamics NAV) at its core providing familiarity and ease of use. Housing all core business information, you are able to manage the entire construction and contracting lifecycle through one solution. With Microsoft Dynamics 365 Business Central benefitting from significant ongoing investment from Microsoft, you can rest assured that Eque2’s EVision software is a future-proof and scalable solution able to meet the requirements of any growing construction enterprise business. "EVision now houses all our core financial data, and as it is easy to navigate and find the information we need, it has helped us meet our customers’ requirements for detailed reporting and in-depth analysis of profits." The end of the month can be a busy time and usually involves the creation of cost value reconciliation (CVR) reports to assess various project’s financial performance. This can be a time-consuming process resulting in confusing data that is tricky to understand. With Eque2’s construction accounting software, EVision, automating processes makes CVR reporting easier and more accurate by allowing on-site teams to update familiar CVR templates with live project data drawn directly from the system. Updated information from the team on-site is automatically fed back into EVision, enabling you to assess and analyse data in great detail. From looking at specific costs for projects to evaluating the profitability of the entire project, you can tailor EVision to work your way, for optimum efficiency, accuracy and productivity. "It will be a real benefit to the on-site teams to have access to the latest information wherever they are when producing these reports and gives us the confidence that they are accurate." Whether you and your teams are in the office, on-site, working from home or travelling, EVision helps you access and share the information you need to do your job and make decisions using accurate data in real time. Improving communication is critical for larger construction and contracting companies with staff spread across multiple sites. Without access to real time data, team members need to spend valuable time on lengthy admin tasks, from collating complex spreadsheets to searching for accurate information. Commercial construction management software enables any team member, anywhere to communicate in real time and share the latest information on their projects via any enabled mobile or tablet device. Project updates are shared rapidly and directly from site to office using one centralised, streamlined solution, so everyone is always up to date, boosting efficiency and productivity. EVision, built on the powerful Microsoft Dynamics 365 Business Central platform, doesn’t just unite teams and offer a stable and future-proof way to handle data, it provides you with confidence in the accuracy of the information used to make decisions in your business. It’s time to say goodbye to silos of data. Remove the need for multiple spreadsheets and systems and achieve a single version of the truth for your construction projects. Effective communication is crucial to any successful construction business, but when information is not shared silos of data are created and interdepartmental tension can arise. Does that sound like your company? EVision streamlines, automates and centralises your commercial, financial and operational processes and data in one simple interface, accessible to all. Tailored reporting, easy integration with existing systems and cloud access ensure total control and consistently accurate information, from initial bid, through construction to project completion. For example: Using EVision, a site manager knows instantly about an increase in the materials budget, while the financial director can quickly spot when a project is losing profitability due to poor on-site decision making. "Overall, we are happy using EValuate as it is easy to use and helps us consistently create estimates with the confidence that they are accurate each time"
EValuate offers the consistency needed as everyone is up to date with the latest items and resource libraries, and also lets any team member work on a colleague’s estimates, so nothing is ever delayed, dulpicated or outdated. Effectively manage the with customer journey after a sale and resolve issues efficiently with the Care module, part of Eque2’s Housebuilding software. Ensuring customer satisfaction after a sale has taken place is just as important for a house builder as it is prior to this point. With customer expectations at an all-time high, you need to be able to efficiently manage and resolve any customer enquiries that may arise. Without the right tools and processes in place, this could prove difficult and have a negative impact on the customer journey. The Care module, part of Eque2’s Housebuilding software, provides you with the functionality to efficiently deal with after-sales customer enquiries and allocate subcontractors to resolve any issues. Automating progress updates and having the ability to monitor performance helps ensure you’re able to provide the high level of care expected by your customers. The Care module can be used stand alone, or as an integrated part of the complete Housebuilding suite with Land, Build and Sales modules. Strategic forecasting for well-informed decisions on land opportunities using the Land module, part of Eque2’s Housebuilding software to gain a competitive edge. As the very first stage of the house building process, there is considerable risk involved in purchasing land without full visibility of profitability potential and the ability to accurately report on this to stakeholders. Gaining visibility, accurately budgeting, monitoring development projects and gaining a competitive edge are all difficult tasks without the right tools in place. The Land module, part of Eque2’s Housebuilding software, provides you with the functionality to easily create land acquisition appraisals, produce real-time forecasts and gain visibility of profitability and performance on-site. The Land module can be used stand alone, or in conjunction with the complete Housebuilding suite with integrated Build, Sales and Customer Care modules. "We have found Eque2’s Housebuilding Mobile Tick Sheets very simple to use and effective in giving us complete visibility of our projects and on-site activity. It has also provided a collaborative environment bringing activities of different departments together saving us a lot of time and helping us gain greater efficiencies"
Eque2’s Housebuilding software helps unite site management and surveying on a construction project using the integrated Build module and Mobile Tick Sheets element. By giving you full visibility of site progress and subcontractors, empowering your workforce to take control on site and helping to ensure everyone is doing their job properly, the Build module has become an invaluable tool for house builders. 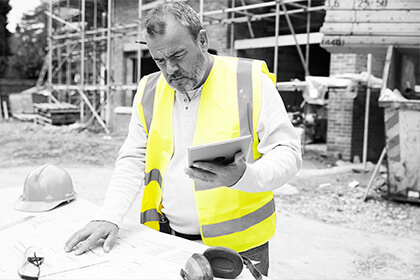 For site managers, the software allows for streamlined, straightforward monitoring of work on site which can then be easily tracked and signed off per milestone using Mobile Ticks Sheets’ functionality. For Surveyors, completed work is easily tracked on either a daily or weekly basis, with site updates automatically relaying into Housebuilding, keeping everyone up to date in real time. With the Build module, you can create take-offs and budgets, generate orders, manage subcontractors and control project costs with ease, giving you total control of every project from start to finish. "Our primary use of the Sales module is as our main lead management tool for which it is very effective. Not only has it provided us with a greater awareness of activities of our sales teams with customers, but we have gained efficiencies and confidence in the accuracy of the data we have within the system"
Part of Eque2’s Housebuilding software, the Sales module ensures processes are customer-led, improving customer service, marketing and reporting and also the quality of lead generation and management. The module provides an insight into how the sales team interacts with customers and manages new and existing leads. This added visibility boosts efficiencies across your business, as you’re able to monitor and analyse every step of the customer journey. From more effective customer engagement through improved targeting to improving productivity by automating manual tasks and even seamless integration with websites like Rightmove, Housebuilding’s Sales module helps you turn quality leads into loyal customers from entry level to aftercare. Get a better grip on your business information, gain a lasting competitive advantage and ensure your profits are protected at every stage of the house building process. Information is at the heart of any business but, in order to maximise profits, that information has to be used correctly. Smarter information helps you keep track of customers, predict and plan for even unexpected events, and gives your house building business the edge. Eque2’s Housebuilding software streamlines every part of the house building process. 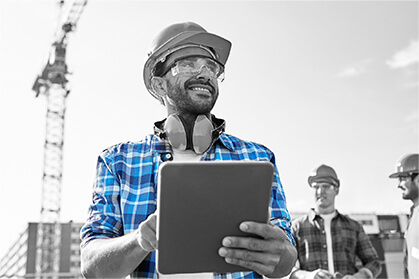 By offering real-time profitability and performance feedback both site- and business-wide, easy creation of acquisition appraisals and accurate budgets and smooth integration with existing systems, Eque2 Housebuilding’s flexible modules lets you take control of your house building – the way you want.